I would not recommend this book. I bought it for John because it intrigued me - someone being murdered by unseen forces out of a rift. I did not realize until I started reading it that it's likely the second book in a series. For all that, it's still quite understandable. However, it had a little too much evil, ghosts and necromancy for my taste. 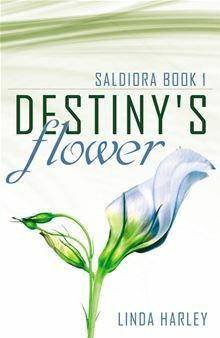 It ranks as the first book I've read with the two main characters being gay. The plot is rather intriguing - ghost stories always are - as one wonders what ghosts and weird sights they will find next. Yet, there is an element of unbelievability that threw me out of the story as the characters did things that did not make sense. Point 1: The govenor and his mistress were murdered gruesomely, reportedly by ghosts, that no one can do anything about. Let's go sleep in his bedchamber at midnight and SEE WHAT HAPPENS! Point 2: A man disappeared mysteriously in a hallway and came back somewhere else, badly injured. Let's go SEARCH THAT HALLWAY AGAIN and see what happens! Really? What are these people thinking, I wondered. I suspect horror type books are frequently like this, but I can't say for certain, as I don't read many. It turned out they were fighting a bad necromancer. There was one magician in their party. It was an ok book. But really, not worth the time. Read something more interesting, people. Unless you really want to read a book about ghost stories and people doing dumb things. And it gave in some ways, a fairly accurate description of evil that was creepy. It creeped me out, until I got thrown out of the story by the dumb things the characters did. 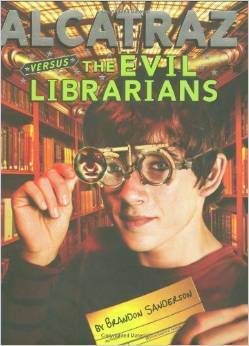 I loved the nonsense humor in this book. The magic system is pretty cool. People known as oculators can wear glasses that give them the ability to see new information about people and things. There are many different types of magical glasses that do different things depending on the glass they are made from. For instance, trackers lenses let one see footprints of people that have passed. The better you know someone, the longer the footprints stay. 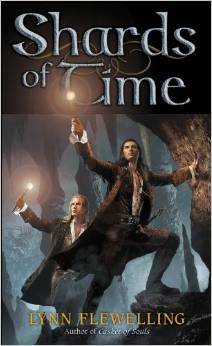 In addition, the characters in this book have hilariously comical magical "talents" that seem like nonsense. For instance, one is magically good at breaking things. One is magically good at arriving late to things, another good at tripping, another at saying things that don't make sense. But it turns out that when you can "arrive late" to bullets being shot at you, these can become pretty useful. I loved seeing the uses that Sanderson found for these seemingly useless skills. Meanwhile, the librarians have control of the United States and the known world, seeking power through information and pulling all the strings behind events. 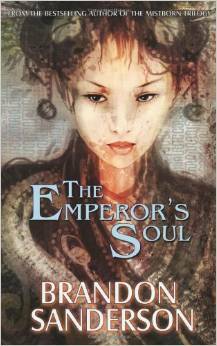 Some - those in the three Kingdoms - seek to end their tyranny and keep them from their lands. Alcatraz learns that he's part of a famous line of stubborn oculators, and goes on an adventure to take back the sands of Rashid, said to be able to make the most powerful lens of all time. He goes to great lengths, however, to prove that he's not the hero everyone thinks he is. 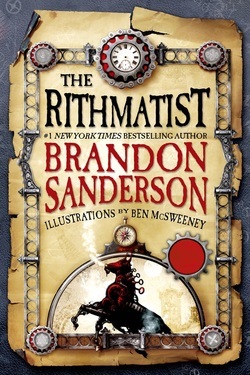 The Rithmatist is an alternate history - another masterful and fun piece by Sanderson with a great satisfying closer set around 1900. In it, a sixteen year old boy named Joel grapples with not being a Rithmatist - having the power to draw chalk that comes alive. People duel each other with chalk, building defenses, launching attacks and creatures called "chalklings", all to prepare to fight at Nebrask. Nebrask houses a tower full of wild chalklings that must be constantly surrounded, trapped and fought by Rithmatists. Otherwise, they swarm out, crawl up people's skin and eat the flesh from their bones. Though not a Rithmatist, Joel finds himself in the center of an investigation to catch a killer. Someone is capturing or killing teenagers - young Rithmatists - by swarming them with chalkings. Why would anyone do such a thing? Read the book to find out! It's going to be a series and I highly recommend it. Sanderson likes to base his magic systems on rules and principles and Rithmatics is no different. This "chalk magic" fascinated me. It has rules - lines of forbiddence draw up force field barriers that people cannot cross. Circles of chalk, "circles of warding," are a defensive barrier against attack. Chalklings, 2D chalk creatures, work better the better they are drawn, but must be guided by instructions to do anything smart. Wild chalklings can somehow think on their own. Mathematics is integral to everything. If one cannot draw a properly round circle, it is a much weaker defense. And one can only add defenses to the circle by placing other circles and lines at geometric points around it - four points, six, nine. 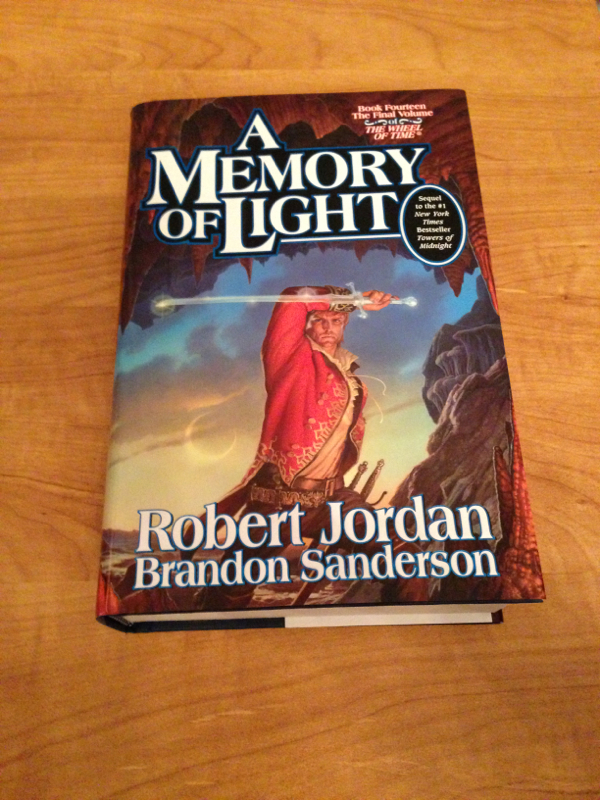 The sense of mystery is great and as usual, Sanderson also creates great characters. Though I feel a veteran when it comes to books, the ending of this one still managed to surprise me. It's also got a very enjoyable and easy-to-read style. I highly recommend it! Seriously, go pick it up and enjoy a weekend of fun. This book is a great short read! It's about a forger who can rewrite the history of objects to change them into something else. She is captured and forced to reforge not an object but a soul - the Emperor - who was wounded in the head and died, yet still lives without mind. After this she is to be killed. Can she do the impossible before the deadline and still escape? This book is quite hilarious and is really written in nonsense style like Hitchhiker's Guide to the Galaxy. I loved it! Books typically keep me up at night, but this was something silly that I could read and put down without fear of being too involved. There are no chapters. This bothered John, but I didn't even recognize that. Pratchett has written many, many excellent books and this one is his first. 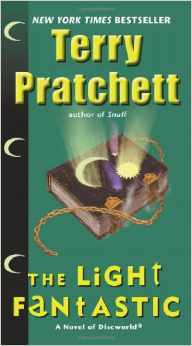 Pratchett is reknowned for writing excellent humor like Douglas Adams, while at the same time, managing to write engaging characters and plot. Only this one, his first book, is more toward the Douglas Adams side - pure nonsense - without that much plot mixed in. For this reason, I was told not to read it first, as he wrote much better in his later years and his books stand alone. Yet, I disagree - it depends on your purpose for reading and I wanted a silly book at night to read. The book is about Rincewood, the worst wizard in the world, who begins the book by falling off the edge of it. In this universe, the world is called 'the Disc' and it is literally flat. My favorite character is the Luggage. Made of 'sapient pearwood,' it's a piece of magical luggage that follows its owner on hundreds of tiny legs with near fanatical loyalty. And it occasionally eats people it doesn't like. I highly recommend this book as a light, silly, relaxing read, after a long day of seriousness that you want to get away from. 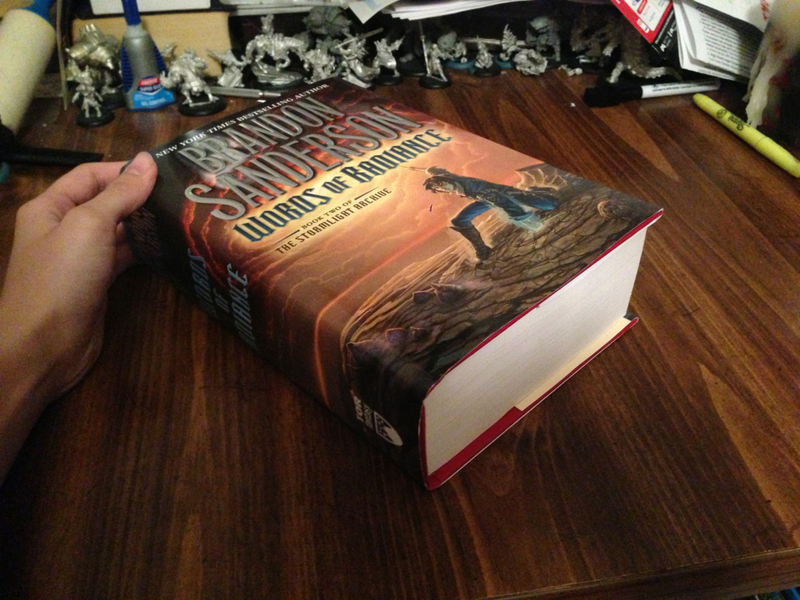 Sanderson's second book in the Stormlight Archive, after The Way of Kings, is FINALLY HERE!! It officially releases tomorrow. I pre-ordered it and here it is! This book was really pretty good. It has a three prong story focusing on Han Solo going to Kessel, Leia as she tried to balance being a mother and politics, as well as Lando, hunting down a possible Jedi candidate in a blob racing/gambling arena, as well as Luke and Lando trying to rescue Han later after he disappeared. Lando going to blob races was hilarious - yes, it's just like what it sounds - blobs of goo bred for racing and traversing and obstacle course. I wish such was real. I'm a huge fan of "blobs" as aliens in SF. Another reason to like Schlock Mercenary. But I'm getting side-tracked. This book was not particularly fast-paced or extremely engaging. 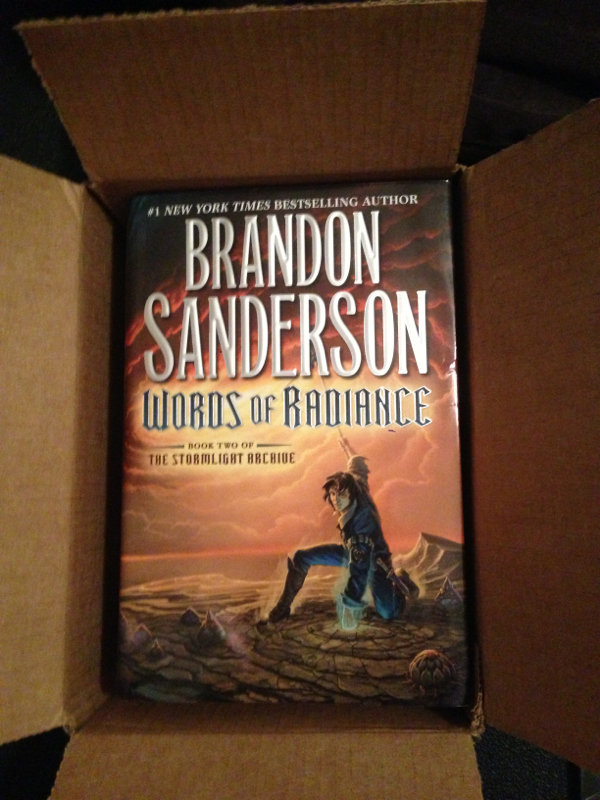 It's not a Zahn or Sanderson book, but it was good. A nice, pleasant, relatively slow read. 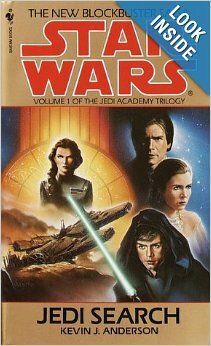 I'd recommend it if you enjoy Star Wars and the adventures of its major characters. The end, the rescue of Han, which turned out badly, and the discovery of some hidden Imperials was a nice twist, and was actually pretty cool. 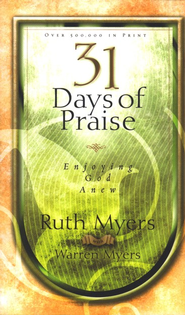 I am now reading this book, that I got for Christmas from Christine Harley, Linda's mom. I was delighted to learn that her daughter had written a book, and has a Ph.D. in applied physiology and works at Emory! :D That gives me hope that perhaps one day I can get something written and made me really excited. As I'm reading it, I'm sifting and analyzing very keenly the style, trying to see if I think I could do as well. So far, I've read through chapter three. It's good - and it's quite interesting so far. The premise is a little odd to me, and not one I would chose, but that's just personal opinion. There's been one space battle. She writes it like I would write, not knowing military things well. It's very star trek like. The people on the bridge are addressed by their first names. There are no seat belts. "Warp" and "quantum torpedoes" are mentioned. There's a "replicator" in the captain's quarters, though it's called a "fobium" instead. There are also "hyposprays" being used in medical. That's not inherently bad. The story still carries well. However, this is something I definitely want to veer away from in my own writing. I know I don't know military things AT ALL, and I really want to do a crap ton of research on the stuff, so that the military scenes I do write feel at least closer to real than star trek. The story still works fine, and in fantasy, one doesn't necessarily have to worry about that kind of thing. However, I really really want mine to have an atmosphere of reality. I also wouldn't have given a perspective from Lord Kyle so soon, because I would have wanted him to be more mysterious, but again, that's personal preference. I'm looking forward to good things here and I can't wait to read the rest of this book. This is a blog for reviews on the books I've read or notes on the books I'm reading or going to read.